Courses take place in our spacious well equipped home kitchen which has been designed with you in mind. There are regular trains from Birmingham, Worcester and Hereford. There is also a direct train line from London Paddington and Oxford. Please see www.nationalrail.co.uk for links with other principal stations. 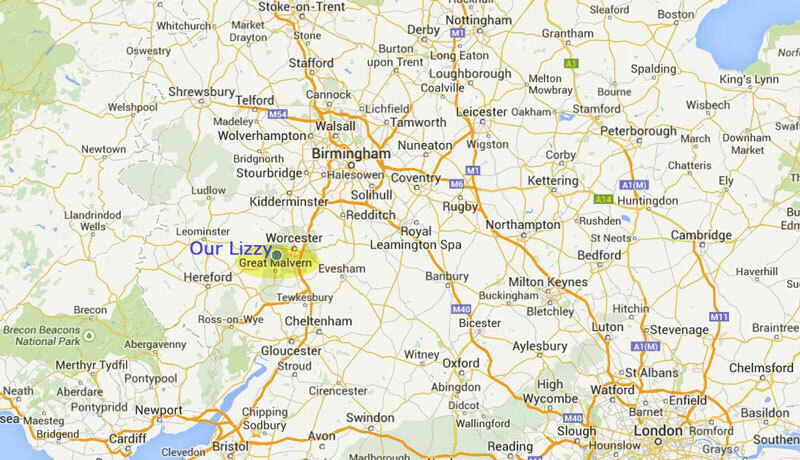 It’s a short five to ten minute walk from Malvern Link railway station. Leave the station by the sloping pathway on platform two, it’s the older pathway with the wrought iron fence (see photo). This brings you into Somers Road, cross over and walk to your right to the junction with Howsell Road. Turn left into Howsell Road. You will walk past Malvern Blinds and The Express Inn on your left. Walk all the way to the other end of Howsell Road. Number 59 is the last but one house - the front door is green. Look out for the herbs in the front garden. Malvern is on the A449 from Worcester to Ross on Wye. Travelling from the north on the M5 motorway, exit at Junction 7 and follow the signs to Malvern. Travelling from the South on the M5, exit at Junction 8 onto the M50 motorway and then after a short distance take Junction 1 signposted to the Malverns, following the A38 to Upton Upon Severn and then the B4211 into Malvern. 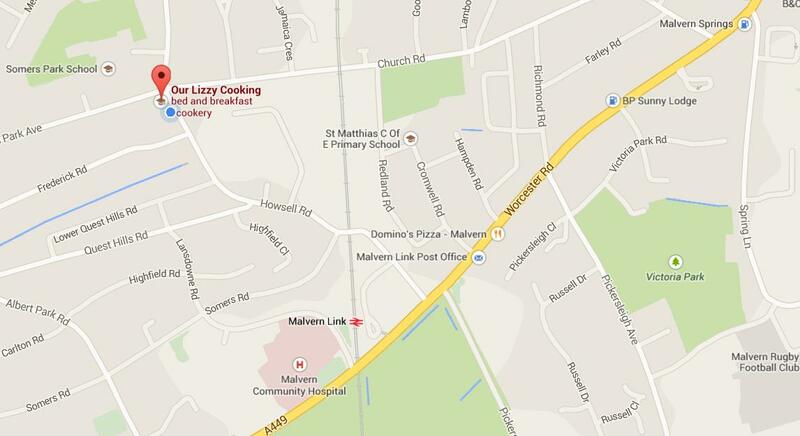 The turning for Howsell Road is close to Malvern Link railway station and fire station. Number 59 is at the other end of the road just before the mini island, the last but one house - the front door is green. Look out for the herbs in the front garden.